Dominic has gone to summer camp at the YMCA for 5 years straight. 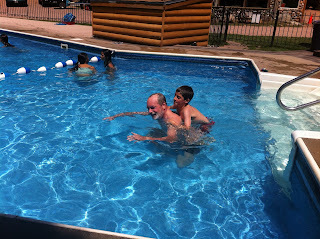 He has always absolutely loved the pool, and the swimming time. The Y has rules, tho. rules about swimming ability and such. 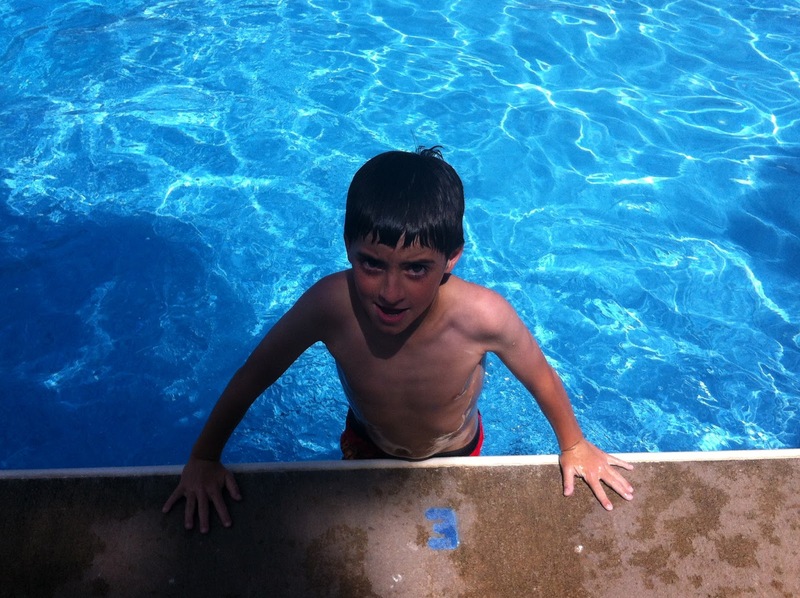 Children have to pass swimming tests, and if they don't, they are stuck in the shallow end. Thats where all the really little kids always are. I have been confident that Dominic was drownproof for many years. Actually when my parents camped here 4 years ago, we threw Dominic in the deep end of the pool and he popped right up and made his way to the surface. 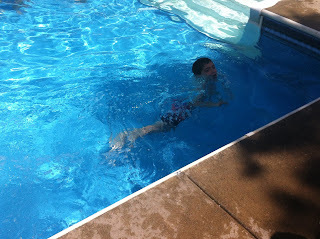 (it was to show the drown-proof-ness off). These pictures are THAT old. So. 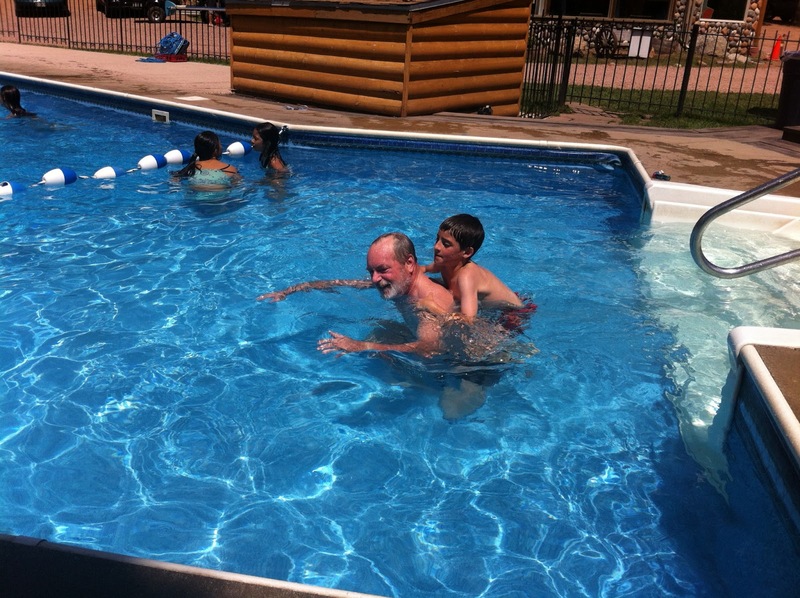 A few weeks ago, the staff at the Y camp asked if they could do the swimming test so he had more of the pool to play in, could go down the slides. I was absolutely fine with it. Today, his counselor told me he got his Blue band, which means he swam half of a pool lap without his feet touching the bottom. It wasn't graceful or pretty (and it didn't need to be). And she told me "he is a REALLY good floater). She wants him to get a green band, and for that he's got to swim the whole length without touching. And she committed to keep working with him, estimating he will have it in a few weeks. His auditory processing speed has been such we haven't been able to make him understand the concept that he needs to do this so he can earn deeper water. He hasn't been at a point where staff would even consider attempting it. This. Is. Huge. Its from a combination of Detox, Hemp oil and genetically appropriate supplementation. It is not just one of those, its all of them working together.